Xiaomi has a reputation for following Apple’s lead, but it doesn’t just build similar products like Samsung. Some of its offerings are straight up Apple ripoffs, and now it’s following the Cupertino company into the computer business. A September report from Bloomberg first revealed Xiaomi’s plans to take on Apple’s ultraportable MacBook and MacBook Air. It was claimed the company had already entered talks with partners like Samsung to secure components. Now it looks like the world’s first Xiaomi laptop is one step closer to release — and leaked specifications suggest it won’t disappoint. According to BenchLife, which got its hands on the information early, the machine (or at least one variant of it) will be powered by a high-end Intel Core i7 6500U processor with a base clock speed of 2.5GHz and 8GB of RAM. The notebook is also expected to come in 11- and 13-inch variants — like the MacBook Air — and will offer USB-C connectivity. Xiaomi has reportedly chosen Windows 10 as its operating system and not Linux as earlier reports had suggested. 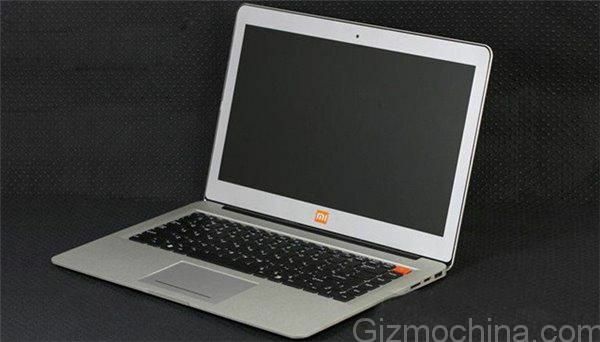 If Xiaomi’s laptop does indeed come with a Core i7 chip, it’s likely to be much more like the MacBook Air than the slimmer and lighter MacBook, which uses a slower but more efficient Intel Atom chip to achieve a completely fan-less design. There’s still no word on when we Xiaomi will finally announce its move into the laptop business, but if its machines are now in testing, a launch may not be too far away.